Navitaire provides airlines with a view of exactly what their customers are doing. That means airlines can provide a bespoke experience to any customer at any touch point. For example, you can; tailor unique services, launch targeted offers, apply credits directly to a customer’s account and add innovative services like mobile passenger booking. Just the capabilities you need to truly differentiate your airline. In an increasingly data-driven world, SaleCycle and Navitaire have found the perfect way to use your data to improve your customer journey. Using Navitaire’s data, SaleCycle is able to display targeted messages to each traveler that comes to your site. 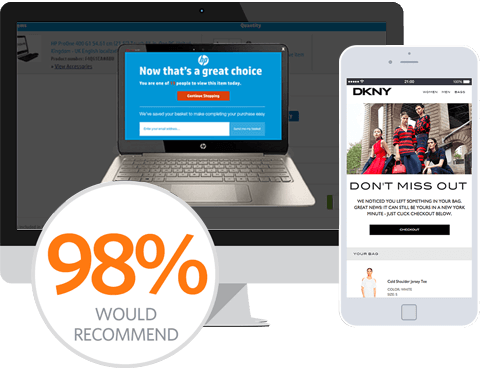 For example using SaleCycle you will be able to highlight popular routes, loyalty programs, and upgrade opportunities to create a personalized customer journey. SaleCycle’s integration with Navitaire also means your booking abandonment emails can recognize real-time price changes to deliver the most accurate information to customers planning a trip. Not only will our partnership with Navitaire improve customer journeys, it will also help increase bookings, drive recoveries and boost average order value.